Luxury Attached Homes in San Juan Capistrano The Cove is the newest addition to the Pacifica San Juan master plan community in San Juan Capistrano, California. With American Farmhouse and Craftsman architectural styling, The Cove features 70 attached homes with three inspired open floor plans ranging from approximately 1,836 to 2,088 square feet. Learn More about Pacifica San JuanCOVE MODELS JUST RELEASED FOR SALE! Tour Residence One Tour Residence Two Tour Residence Three View Club PacificaDiscover the Amenities at Pacifica San Juan The luxury homes at Pacifica San Juan represent Southern California living at its best with desirable locations that are just a short drive from the ocean. 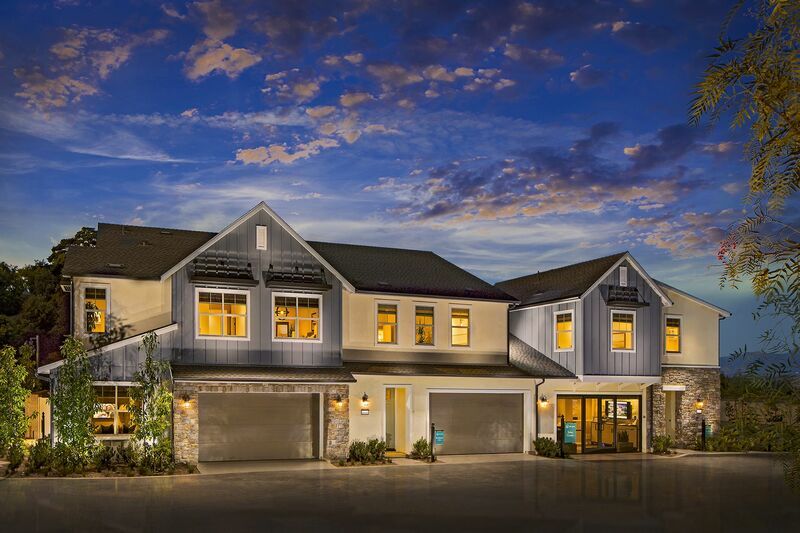 Pacifica San Juan provides a unique opportunity to own a new home in San Juan Capistrano. It features a rare blend of quiet serenity, sense of community and luxurious coastal living. The entire master plan community includes gardens, lookouts, open space and both multi-use and equestrian trails. Click here to view the Pacifica San Juan site plan.Art and Culture The Cove at Pacifica San Juan residents will experience the charm of San Juan Capistrano's art, culture and history. The town is built around and named after the historic Mission San Juan Capistrano. There are several art galleries within city limits.Outdoor Activities Capitalize on San Juan Capistrano's beautiful weather by enjoying the outdoors. If golf sounds good, play a round and experience breathtaking views at San Juan Hills Golf Club or ask about a membership at Marbella Country Club in the lush rolling hills. If you take an interest in horses, San Juan Capistrano will cater to the equestrian in you.Plenty of Places to Eat and Shop San Juan Capistrano is home to several top-rated restaurants including Cedar Creek Inn, L'Hirondelle Restaurant, Ramos House Cafe and more.